Creativity Unleashed #123 and a Gorilla Glue Giveaway!! Hello everyone! So happy you are back to party with us today! I am super excited for our new sponsor for the month of June, Gorilla Glue!! I use gorilla glue ALL the time, and not just their wood glue (my fave) but a ton of their products, I haven't tried one that I didn't love! 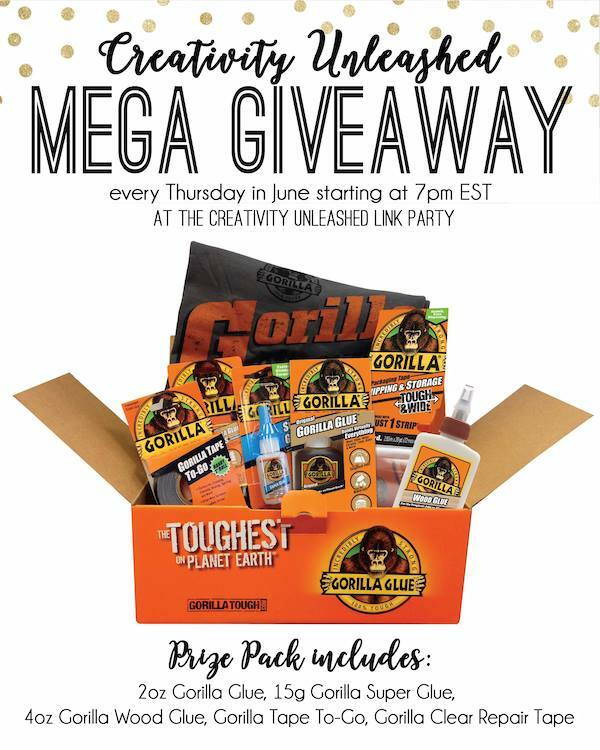 Every Thursday in June we will be giving away an amazing Gorilla Glue Prize pack which is full of awesome product. So don't forget to enter to win you can never have enough Gorilla Glue!! We have a New Co-Host!! Amy from Hertoolbelt is joining us, and she is pretty amazing! You HAVE to check out her blog if you don't follow her already! 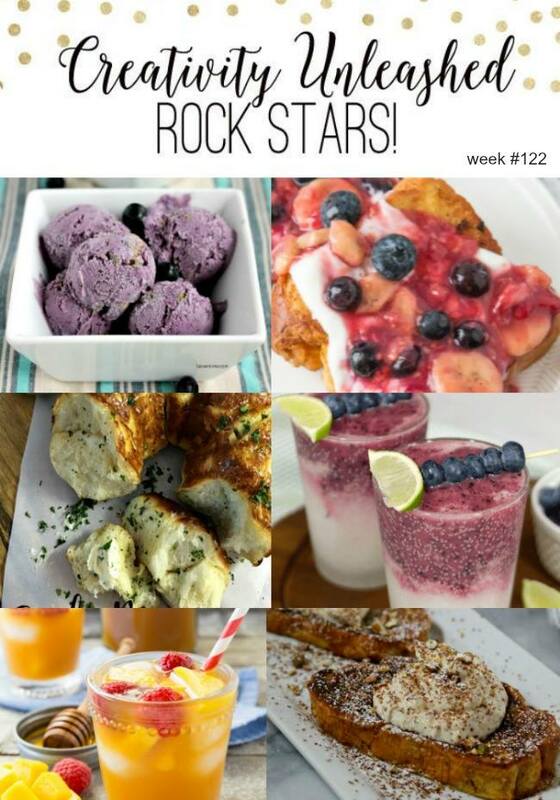 My mouth is totally watering with these amazing rock stars recipes this week! Don't forget to vote for your favorite!! I'd make some shelves with the Kreg Jig. I LOVE Gorilla Glue! I would make all kinds of projects, but problably some kind of shelf.